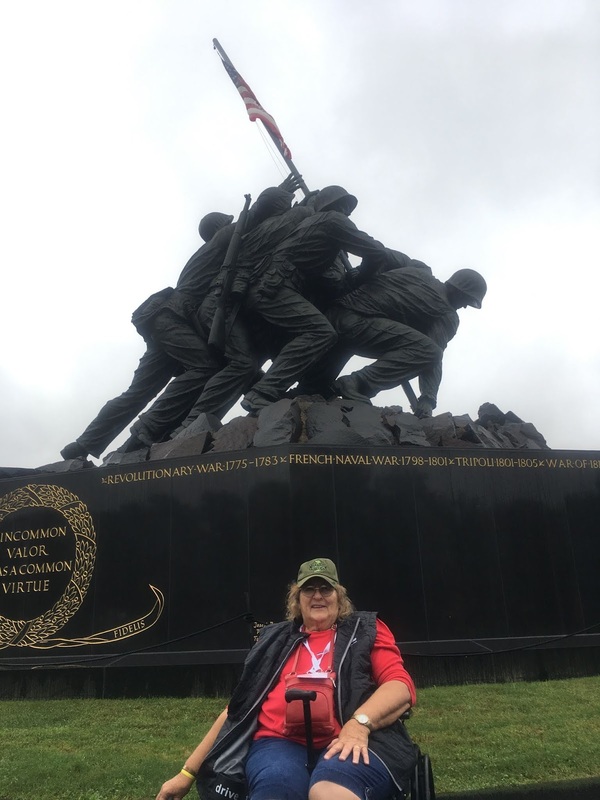 Elaine Salyer stopped for a photo in front of the Marine Memorial depicting Iwo Jima because two of her sons served as a Marine. Exeter resident Elaine Salyer was one of 135 female Nebraskans who were privileged to take the recent Honor Flight for female veterans to Washington D.C.
Elaine was 21 when she volunteered for the Army. She was in nursing school with one year left and knew the Army would pay for her last year. After finishing nursing school she was at Fort Gordon, GA where her roommate told her how great Vietnam was. Elaine volunteered to serve as a nurse in Vietnam. Fortunately for her, Terry had been drafted to serve and had been given a choice to be a cook, truck driver or a medic. 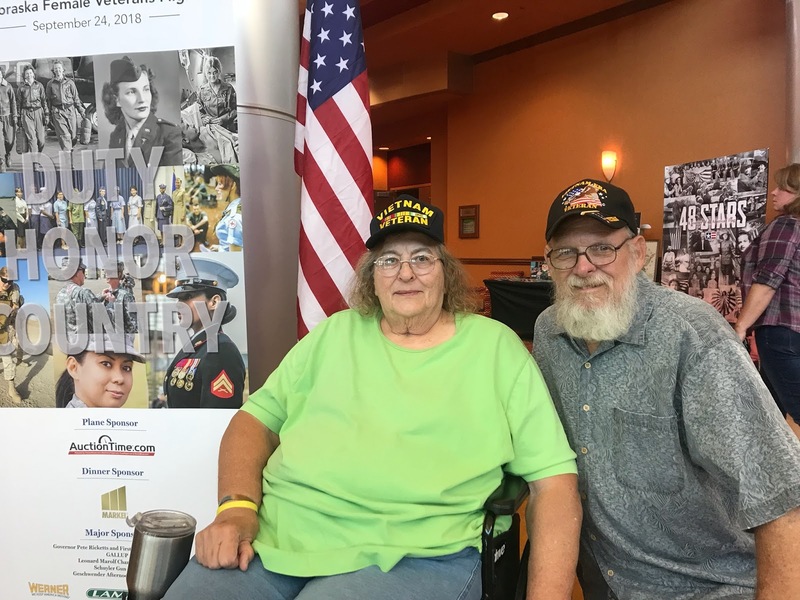 He chose medic and was already in Vietnam serving as a medic when he met Elaine. He ended up volunteering for an extra year so they could be together. Terry went on an earlier honor flight but as an honor guard, not as a veteran. He wanted to honor the service of his father who served in World War II. He hoped that Elaine would get to see all of the memorials the way he had. She did meet several women on the flight that served in Vietnam but none she served with in Qui Nohn. The night before the flight the Salyers headed up to Omaha and the night before they were guests at a banquet and each of the women scheduled on the flight were given a Quilt of Valor from the Daughters of the American Revolution. 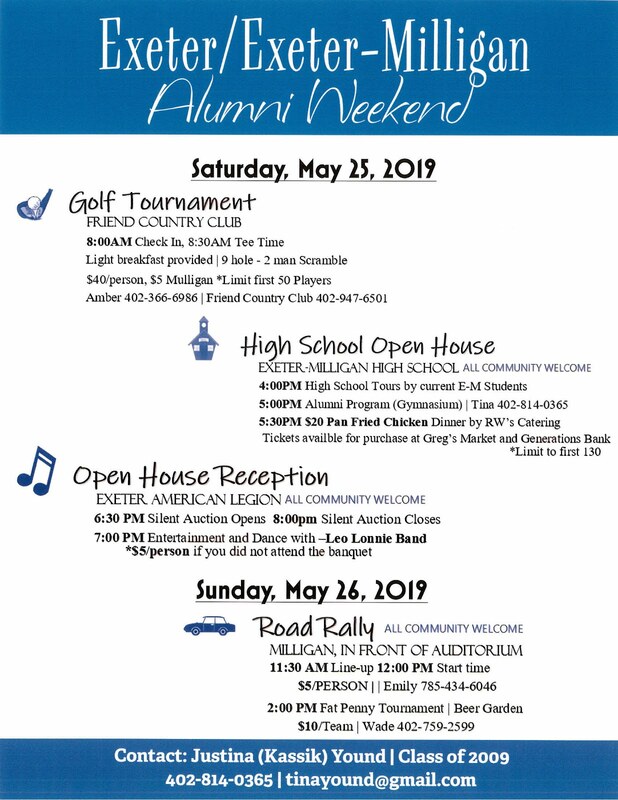 The banquet also featured Loretta Swit, the well-known M.A.S.H. actress, as the speaker. Although Elaine found her “really interesting,” they had to make it an early night because of a 2 a.m. wake up call. In the morning all 135 of the women scheduled for the trip got on buses and boarded at 430 a.m. flight for Washington DC. All of the passengers, attendants, assistants and even the pilots were women. Elaine was most moved by the Vietnam Women’s Memorial. She got emotional sharing about seeing it, the scene the memorial portrays was one that was all too familiar to her. It pictures a nurse helping an injured soldier while another nurse looks for a helicopter. 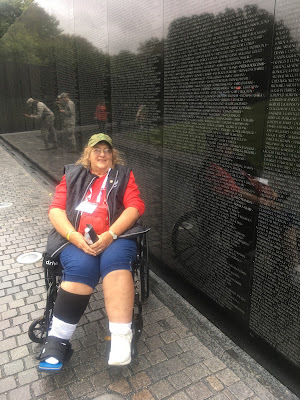 There were no specific names she was looking for at the Vietnam Wall. 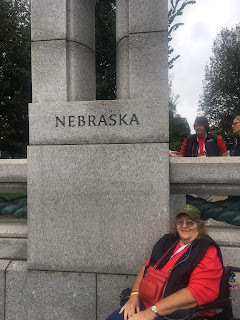 She only recalled one Nebraskan coming through the hospital when she was there. 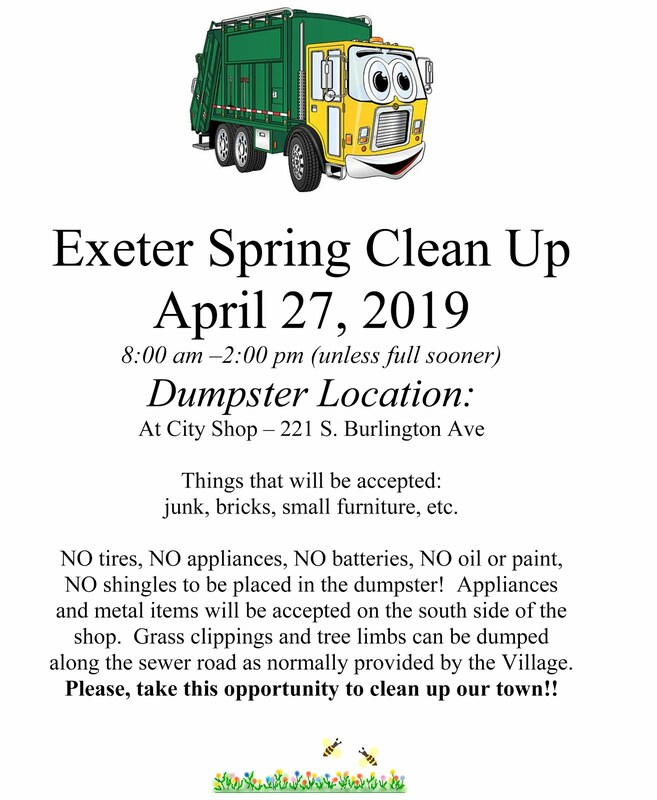 “It was a once in a lifetime event,” Elaine said, noting she would go back if the weather was nicer and she could have had more time at each memorial. They returned to Omaha that evening and were welcomed home by a huge crowd waving flags and cheering for them. Elaine was wearing a Vietnam veteran hat and Terry noted that all of the Vietnam vets in the crowd waved her over to shake their hand. “There was no welcome home when we came back from Vietnam,” recalled Elaine. 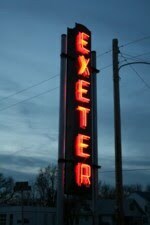 Elaine, a 1961 graduate of Exeter High School, worked as an RN for her entire career while raising their three sons in Exeter. 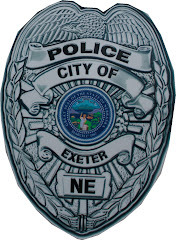 She served on the Exeter Rescue department for 21 years before retiring. Vietnam Veteran Elaine Salyer paused for a photo in front of the Vietnam memorial on the female Honor flight. Terry and Elaine Salyer at the banquet hosted for the 135 women who were taking the female honor flight. 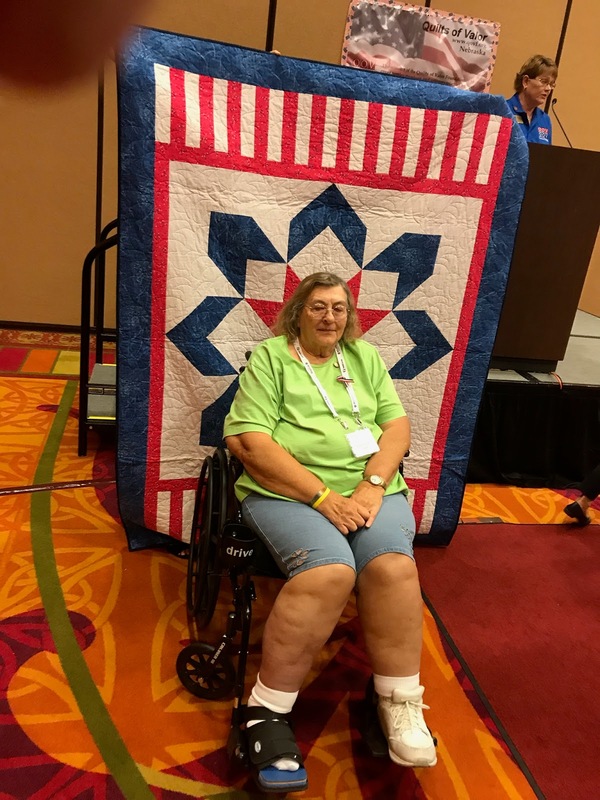 Elaine Salyer with the Quilt of Valor she received at the banquet hosted for the 135 women taking the female honor flight.